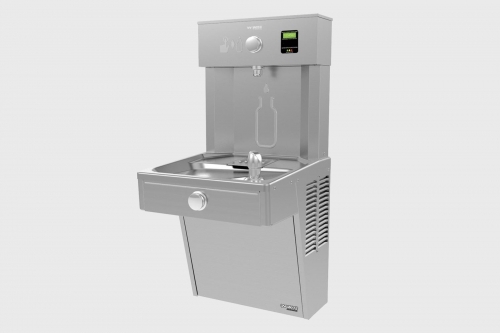 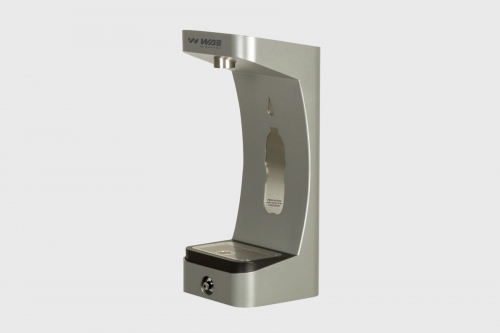 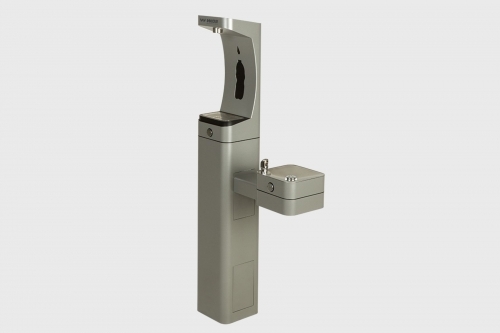 This machine delivers a clean quick water bottle fill and enhances sustainability by minimizing our dependency on disposable plastic bottles. 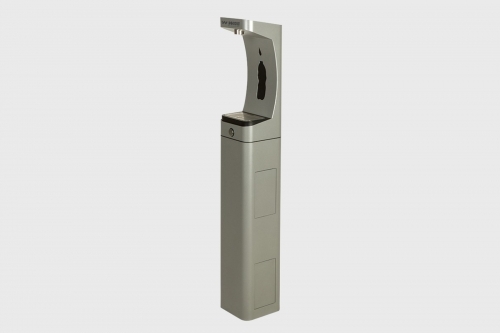 Vandal-resistant cooler and bottle filling station in a consolidated space saving ADA compliant design. 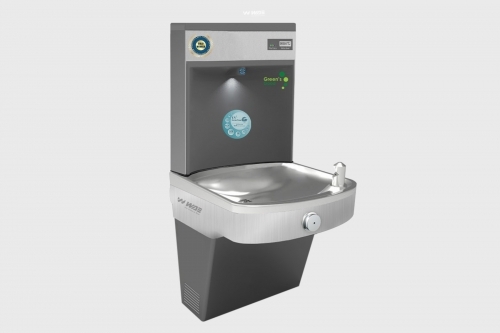 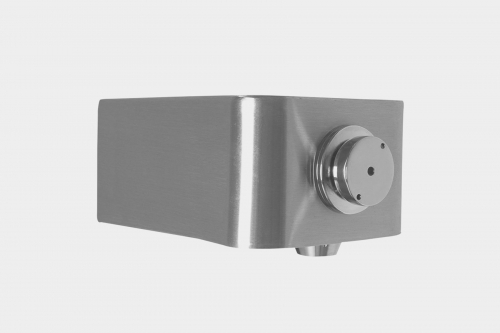 Pushbutton activation with automatic 20-second shut-off timer on bottle filler.The 3,000-gallon filter is certified to NSF 42 and 53 for lead, Class 1 particulate, chlorine, taste and odor reduction.Visual filter monitor with LED filter status indicator for when filter change is necessary.